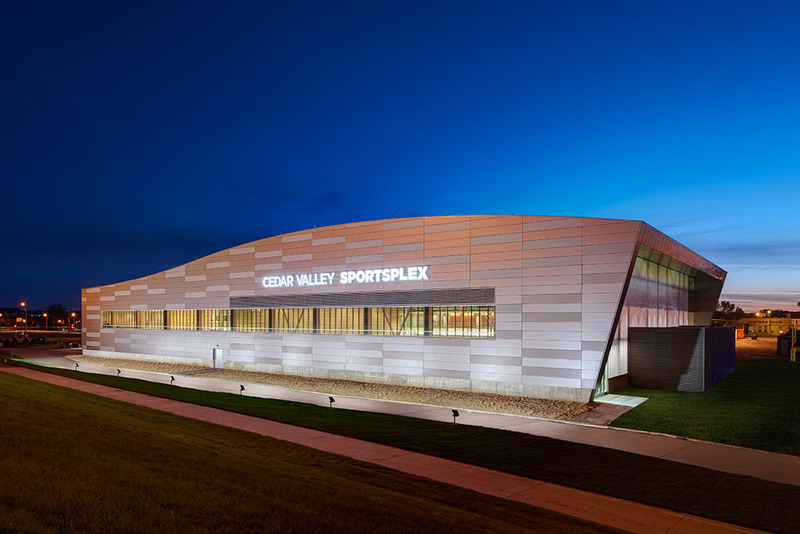 Made possible by countless donors, the Cedar Valley Sportsplex was created to provide an affordable, high-quality fitness facility for the Waterloo/Cedar Valley area residents. 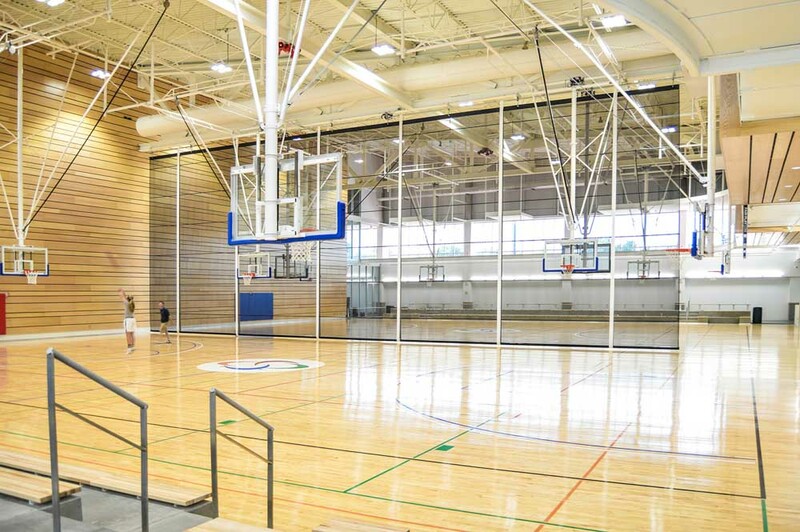 The facility offers many different services such as indoor soccer fields, basketball gym, cardio equipment, weights, and a leisure pool with slide. The large space and varied uses created an interesting challenge for our designers to provide a comfortable, yet energy efficient, environment. 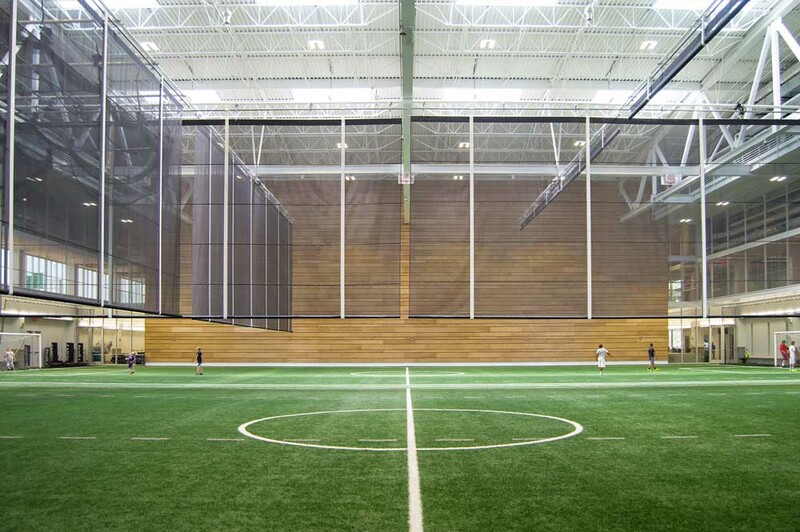 From a mechanical standpoint, to maximize zone control, a Variable-Air-Volume (VAV) system was used to modulate the amount of air each area receives. This also creates additional energy savings by only providing as much heating or cooling as is needed. Fresh outdoor air was provided by Energy Recovery Ventilators (ERV) to transfer energy from the leaving air stream to the entering air stream, which further saves energy. Hot and cold water for HVAC purposes were supplied through a central boiler and chiller plant, with the boilers being high-efficiency condensing boilers, and the chiller being a modular solution, to again capitalize on providing just the right amount of chilled water for cooling. 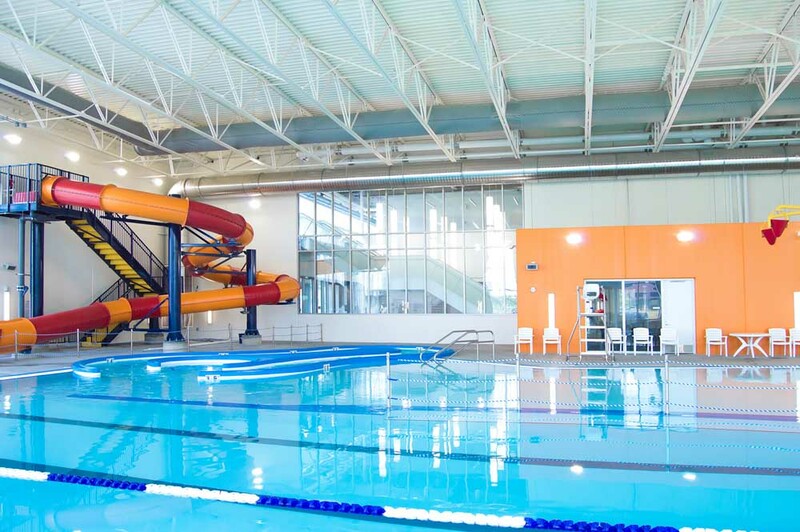 Lastly, to meet the hot water requirements of both the heated pool and the shower rooms, 95% efficient heaters were utilized for those functions as well, saving even more energy. 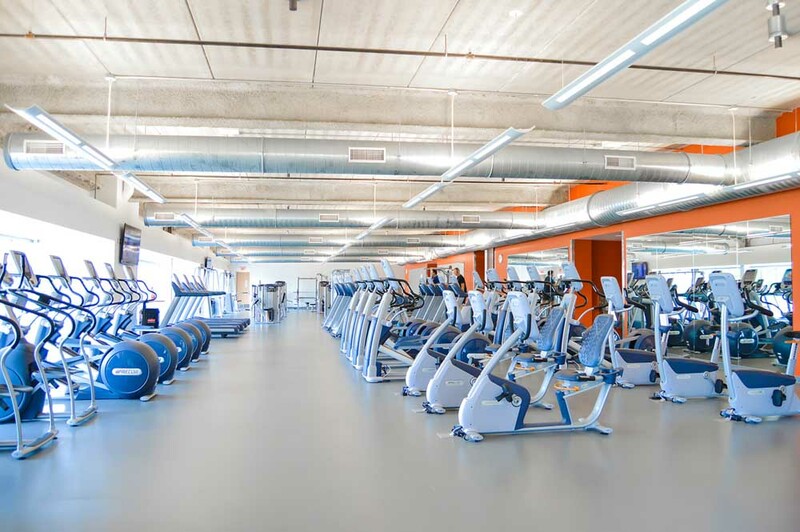 High levels of lighting are a very important part of a gymnasium or fitness facility and unfortunately can be a big energy draw. To counter that, high efficiency LED lighting was employed in the largest spaces, providing the expected levels with reduced energy consumption. Additionally, a day-lighting study was performed to ensure many of the spaces are able to take advantage of natural daylight, allowing them to turn off or dim the lighting as needed. Occupancy controls are also present to make sure spaces aren’t lit when no-one is present.